Find art scholarships to fuel your passion! When students are work hard to develop passions, both inside and outside of the classroom, organizations take notice. That's why not all scholarships are based on academic performance. Alternatively, many seek to reward a student's unique talent — whether it’s athletic, mechanical, art-based, etc. To help connect creative students with increasing scholarship opportunities, the Fastweb database contains an array of art scholarships and internship opportunities. Whether your talent is something you hope to turn into a career or is an extracurricular passion that keeps you occupied outside of the classroom, there are art scholarships that you may qualify for. With the help of art scholarships, fellowships and internships, you can further your passion, create a career path and inspire other aspiring artists like yourself. Below is a mere sampling of some of the more general art scholarships that exist within the Fastweb database — filling out your profile may match you to single art scholarships at your school of choice. To help better organize your scholarship search, please note that the following art awards and internship opportunities are listed according to deadline, with the earliest deadline appearing at the top of the page. Deadlines that vary will appear at the bottom of the list. Award Amount: $4,000 The Visual Arts Endowment Scholarship is available to continuing full-time students at the University of California, San Diego majoring in visual arts. This award is based on merit. Get more information on the Visual Arts Endowment Scholarship. The Talent Grant is open to art majors at Western Illinois University. Get more information on the Talent Grant – Western Illinois University. Award Amount: $1,200 The Dutchess Heritage Quilters Scholarship is available to full-time non-traditional students at Dutchess Community College. You must be enrolled in either the performing or visual arts programs or the communications program to qualify for this award. Get more information on the Dutchess Heritage Quilters Scholarship. Award Amount: $250 The Baton Rouge Art League Award is available to junior, senior and graduate students at Louisiana State University. You must be majoring in art and have a minimum 3.0 GPA to be eligible for this award. 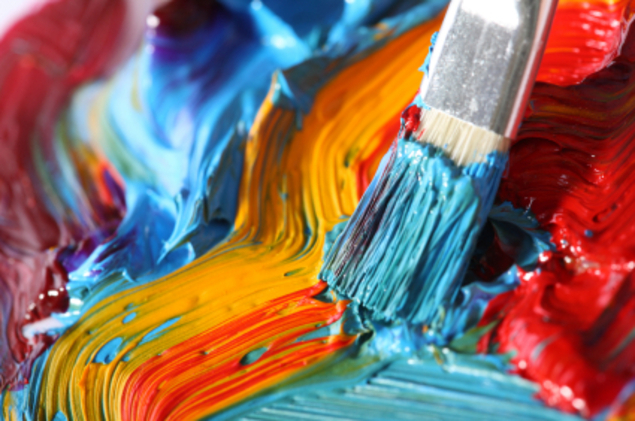 Get more information on the Baton Rouge Art League Award. Award Amount: $5,000 The Charles Craig International Travel Award Scholarship is available to students at Louisiana State University. You must be majoring in art to be eligible for this award. Get more information on the Charles Craig International Travel Award Scholarship. Award Amount: $3,000 The Art Competition is open to incoming first year and transfer students at the College of Notre Dame of Maryland. Students with artistic talents may submit a portfolio to be eligible for this award. Get more information on the Art Competition. Award Amount: Varies The Robie Robison Visual Arts Award is open to visual arts students at Idaho State University. You must be an Idaho high school graduate and have a minimum 2.5 GPA. You must also be a U.S. citizen to qualify for this award. Get more information on the Robie Robison Visual Arts Award. Available to: College Freshmen through College Seniors The AGV Sports Group, Inc. Graphic Arts Internship is open to college students and recent graduates who are interested in the graphic arts field. You must have a desire to add real-world experience to your educational credentials, have basic computer skills, have experience with print, internet, and multimedia, and be organized, motivated, and enthusiastic. You must also be able to commit to this internship for a minimum of three months and work between 21 and 35 hours per week to be eligible for this internship. International students are welcome to apply. Get more information on the Graphic Arts Internship .